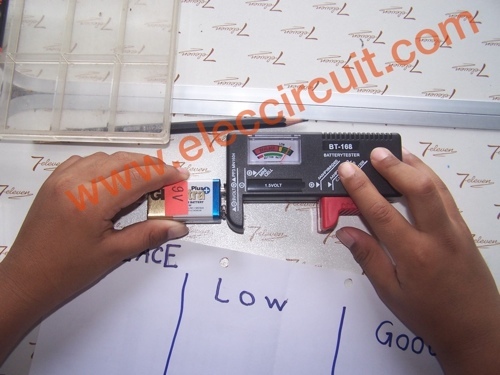 A basic electronic learning what is needed is a battery. Because I do not want him to use the AC-line, which could be dangerous. So we store it in a lot of batteries. Sometimes project electronic does not work well, may have caused Batteries broken, or worn out…should be replaced. Normally, I tend to use the digital multimeter measure its voltage. But it’s convenient to have too many batteries. Son and I saw the battery tester. my son tried to use it, very convenient. He can make it easy to use the 1.5V battery of all size(AAA,AA,D and more) and the 9volts battery. If friends interested to buy it, you may like it same us. This Is Very Simple Tech. To Test Battery, Better Post ….BOSS! !